As the students return to their studies this month, the businesses of Belfast have really been ramping up their marketing efforts to ensure they capitalise on one of the most profitable markets our little city has. Weâ€™re very lucky to work with many businesses across a whole heap of business types, which gives us a fantastic insight into the different styles of marketing undertaking in Belfast. Ultimately we get a chance to see what works and just as important, what doesnâ€™t work. Secondary to flyers, posters and their placement is the most important offline marketing tool you can undertake as a business. Think about the last advertisement you saw in real life. It was most likely one of the following: A Billboard An Adshel (bus shelter) Poster A Window Poster An A-board on a pavement A Lightbox poster Literally all of the above rely poster printing at the base of the campaign. they are a super marketing tool, cost effective and suitable for getting your campaign to a larger audience. Depending on the use, or the placement of your poster, the level of detail and type of design is completely different. Billboards and bus shelters should have less info and more attention grabbing headlines, where as smaller window posters will have a longer span to get a message across and so adding a little more detail to these is beneficial. Ultimately the goal is to drive the prospective customers to a â€œlink to saleâ€, whether that is an online shop, a physical location or to a desired sales channel. From only 40 pence a poster, they are an extremely cost effective medium that brings a lot of positive impact for your business. We have a number of clients who use larger quantities of smaller posters (a3 in size) to promote their events in numerous locations across Belfast, Lisburn and beyond. They also have a smaller number of larger posters in A2, A1 and A0 sizes that are used in house and within their premises to focus on ensuring each and every customer who visits their venues is aware of upcoming gigs and events. Supplement poster printing with a flyer printing campaign, some social media and online activity and you really have the majority of bases covered for your project. 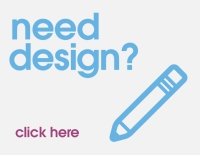 Our team of designers have years of experience in designing all manner of posters for many different industries, so utilise our talents, skills and knowledge on how to maximise your project.